Rugs Online - Returns Policy - West End Co.
Our Returns and Damages Policies may change from time to time. Such changes are applicable to all the purchases made after the date of change of our Returns and Damages Policies. At West End Co., the quality of our products and services are of significant importance to us. Please contact the team at West End Co. prior to returning a product so we can understand the nature of the issue. During the return process, we recommend that you provide the West End Co. support team with the shipment tracking number. We are not responsible for return shipping costs associated with your returns. 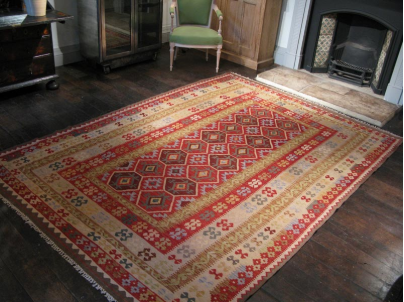 We provide refunds to unused rug(s) in their original condition within 14 business days of receiving them. At West End Co., we have a rigorous packaging process to ensure the quality of your delivery. However, please make sure to inspect your package for any potential faults. If you notice any damage on your delivery, please notify the West End Co. support team within 3 business days. If you have received a damaged item, please contact a member of the West End Co. support team immediately, and we will be able to help you. If there is minor, notable damage on the outer packaging of your delivery, please note as such when signing for the shipment. If there is substantial damage on the outer packaging of your delivery, we recommend that you ask the carrier to return the shipment.